Dental implant is an artificial tooth root made of Titanium and placed permanently into the jaw bone. It is done by a Specialist PROSTHODONTIST and IMPLANTOLOGIST. Once this implant is placed into your jaw it acts as permanent replacement for tooth roots and becomes the stable support for a single or multiple missing teeth. Dentures and bridges mounted to implants won’t slip or shift in your mouth — an especially important benefit when eating and speaking. This secure fit helps the dentures and bridges — as well as individual crowns placed over implants — feel more natural than conventional bridges or dentures. Endosteal implants — these are surgically implanted directly into the jawbone. 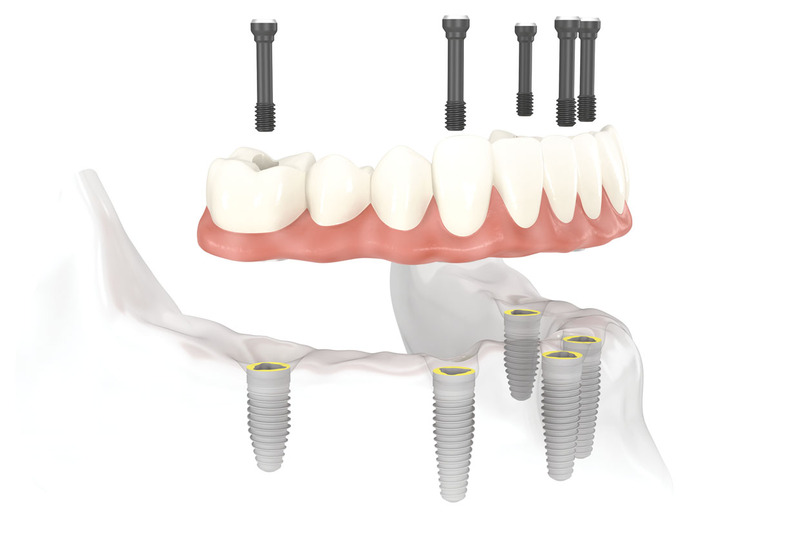 Once the surrounding gum tissue has healed, a second minor surgery is needed to connect a post to the original implant. Finally, an artificial tooth (or teeth) is attached to the post-individually, or grouped on a bridge or denture. The most widely practiced method of placing dental implants is a “staged surgery” procedure. The first stage consists of surgically burying the implant (which replaces the tooth root) flush with the bone but underneath the gum. This protects the implant from force while it is healing. At the end of this healing period, the implant needs to be surgically exposed by removing some of the overlying gum. If you’ve broken any of your teeth, then visiting a renowned dental implant clinic in Delhi is an excellent recourse. Dr. Chopra Dental Clinic is your ray of hope. The clinic is fully-equipped with all the machinery that’s required for performing dental implant surgeries successfully. 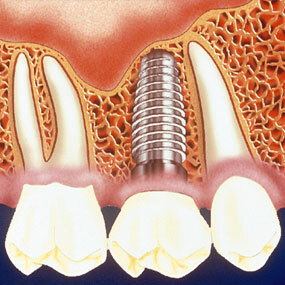 The dental implant acts as an amazing support to an artificial tooth crown. The aesthetic look of a dental implant makes it the perfect option for improving your smile. Originally used in case of broken front teeth, dental implants can easily improve your facial appearance and enable you to smile like never before. In addition to serving as an excellent solution for tooth loss, dental implants also work as an excellent alternative to the usual dental bridges. With proper care and maintenance, the dental implant can be retained even for a lifetime. An implant doesn’t interfere with the aesthetic value of your denture and also plays a major role in stabilizing the health of the bone beneath the affected tooth. Dr. Chopra Dental is an excellent dental implant clinic in Delhi, catering to dental patients in need of an artificial tooth that would be implanted into the jaws. This dental clinic offers affordable dental implant procedures that render long-lasting results. The varied advantages associated with the dental implants make them one of the most sought-after dental procedures in India. Losing a tooth is no more a thing to worry about with Dr. Chopra Dental Clinic by your side. Dental implant is indeed a truly reliable solution for curing the lost tooth problem. Dental specialists at Dr. Chopra Dental Clinic are experienced in performing dental implant procedures successfully. Considering the ever-increasing prices of dental implants, it is imperative to consider a Dental implant clinic in Delhi which offers the procedure at budget-friendly rates. Dr. Chopra Dental Clinic is an outstanding dental care clinic with trained dental surgeons on-board; engaged in treating a wide range of dental problems affecting people belonging to different age groups. It is always recommended to go for dental implant procedure at a dental clinic that’s dedicated to dental implants. This is simply because such a clinic would have the best dental implant experts who’ll look into providing dental implant procedures with proven results. 1. SAVES ADJACENT TEETH – In a bridge teeth adjacent to the missing tooth are ground whereas a dental implant prevents the grinding of adjacent teeth. 3. BETTER CHEWING EFFICIENCY – with dental implants as compared with a bridge. increased maintenance cost due to frequent relining of dentures.